A patient can expect the treated area to appear bright red, similar to a sunburn, immediately after microneedling. The redness can last from a day to up to a week. The intensity and duration of the redness are dependent upon the number of passes performed on the treatment area as well as the particular area treated since microneedling can be performed anywhere on the body and is great in reducing the appearance of scars. In some cases, there’s pinpoint bleeding. Since microneedling allows improved absorption of creams, gels, and serums, a doctor will determine the best products for the patient post procedure. These can include bleaching or lightening serums, vitamin C or hyaluronic serums to accelerate results. 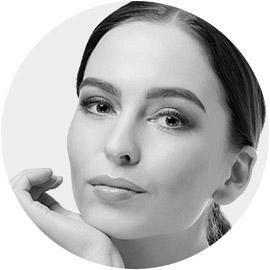 Seattle, WA cosmetic surgeon, Dr. Craig Jonov, offers microneedling, one of the latest nonsurgical skin rejuvenation treatments that creates a younger, softer-looking facial appearance. Also referred to as collagen induction therapy, this treatment is used to improve skin texture and tone as well as reduce the appearance of acne, surgical scars, fine lines, and other skin imperfections. The procedure uses an instrument with a group of tiny needles connected to the end. This tool is moved in a pattern across the skin to create small holes, which essentially disrupts the skin so that it can organically heal itself. Although small needles are used, there is limited discomfort to the patient. Through this process, elastin and collagen are produced to stimulate and repair these holes, which improves a patient’s appearance. This outstanding technology produces immediate results and should be performed during numerous sessions for optimal results. It is great for all skin types, including patients who tend to have sensitive skin. Prior to the procedure, the treated area is cleaned and a thin layer of a topical gel is applied to numb the skin. We apply a sterile cartridge tip with 12 microneedles to a handheld device. The device will be pressed gently across the skin in a pattern until the entire area has been treated. The procedure will result in tiny holes, known as micro channels, on the skin which will close in 24 hours, triggering a healing response. This results in renewed skin, including a thickened dermis, which will soften the appearance of lines, wrinkles and scars. The total time for the procedure takes about 60 minutes. 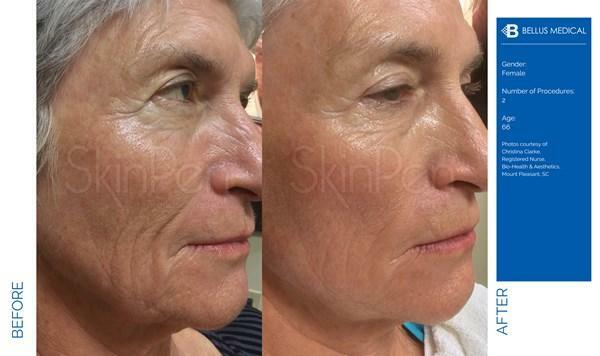 Immediately after the procedure, patients can expect the skin to glow as well as appear tighter and firmer. Over the course of a few weeks, a patient can expect to see a marked improvement in skin’s color, tone and texture. In addition, there should be a drastic reduction of fine lines and wrinkles. 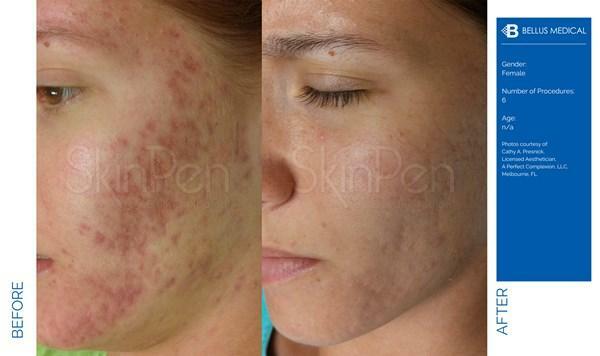 Microneedling is also effective in diminishing acne scars, traumatic scars and stretch marks. A patient’s appearance can continue to improve up to six months following initial treatment. While some patients benefit from a single treatment, three to six treatments are advised to get the best possible result. 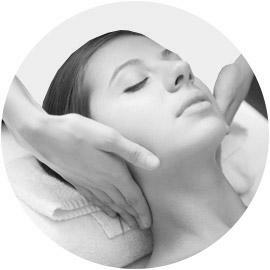 Our master estheticians will work closely with patients to develop the right course of treatment based on his or her individual needs. Microneedling is an effective, safe procedure that continues to be a popular skin rejuvenation treatment among our Seattle-area patients. 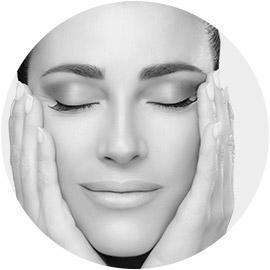 If you are seeking a nonsurgical, advanced way to brighten your skin and create a glowing appearance, we invite you to call our office for a skin analysis today. We will provide a custom treatment plan that meets your desired goals and aesthetic needs. 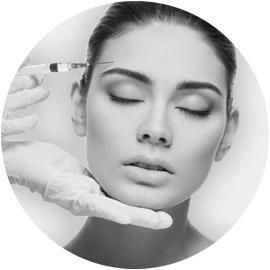 To schedule a complimentary consultation with Dr. Jonov or with any questions about the Microneedling process at The Gallery of Cosmetic Surgery serving Kirkland, Bellevue & Lynnwood, WA.